OSLER, Sir EDMUND BOYD, businessman, politician, and philanthropist; b. 20 Nov. 1845 near Bond Head, Upper Canada, fourth son of the Reverend Featherstone Lake Osler* and Ellen Free Pickton; m. first 1868 Isabella Lammond Smith (d. 1871), and they had two children who died in infancy; m. secondly 3 Sept. 1873 Anne Farquharson Cochran (d. 1910) in Balfour, Aberdeenshire, Scotland, and they had three daughters and three sons; d. 4 Aug. 1924 in Toronto. Unlike his brothers, Edmund Boyd Osler chose to forgo university and face the world with the education he received from his parents and the grammar school in Dundas, Upper Canada, where his father was the Anglican rector. In the late 1850s, still little more than a boy, he took a job at the Bank of Upper Canada, which was struggling with bad railway and land loans exposed by economic depression. Its demise in 1866 laid bare the price of mismanagement, a lesson Osler carried with him when he joined with fellow employee Henry Pellatt to launch a firm in Toronto that offered stockbroking, investing, and insurance services. The new partners rode confederation’s wave of optimism to some success, and Osler gained a reputation as an enterprising and trustworthy broker. It was likely his standing that attracted a group of promoters trying to establish the Dominion Bank in 1869 and raise $400,000 in capital. When asked to find subscribers, Osler accepted the challenge. 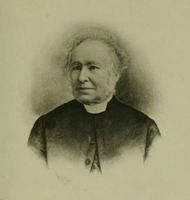 He understood the importance of the business connections offered by the Dominion’s principal founders, among them Whitby businessman James Holden, and saw too that financing for his own firm might be obtained by cultivating a close relationship with the new bank. His enthusiasm, however, was not enough to raise the capital. The bank’s promoters were themselves divided over whether to buy the Royal Canadian Bank, which was in trouble but had established branches and customers, or to build from the ground up. By 1870 the Royal Canadian was off the seller’s block and the Dominion’s promoters were again searching for capital. A break appeared when a dispute erupted between William McMaster*, the president of the Canadian Bank of Commerce, and James Austin*, a leading director. Austin resigned and was soon approached by Holden to support the Dominion; by 1871 the bank had opened with Austin as president. Osler became a shareholder but, more important, he was now connected to an influential network of contacts, especially Austin, who was impressed by this aspiring financier and appears to have been his mentor. Osler in turn learned how a sound reputation could win the confidence of nervous investors. Just as timely for Osler was the combination of large increases in banking capital and the development of an unprecedented level of share issues on the Toronto market. In September 1871 Pellatt and Osler joined the newly reorganized Stock Exchange Association. The firm published weekly stock and bond market reports, which provide some insight into its operations and Osler’s milieu. In 1874 the firm was enlarged to include Pellatt’s son Henry Mill* and Augustus Meredith Nanton. During the trading boom of the 1870s Osler built a good business, gradually generated some wealth, and settled into Toronto’s elite. He began to associate his name and fund-raising talents with such public causes as the fledgling Hospital for Sick Children, which made him a trustee in 1878. Through much of his early years, it is not hard to imagine, Osler found success partly through his father, who had ties with the city’s Anglican establishment. What is certain is that his relationship with Austin flourished. Austin secured a directorship for him at the Dominion Bank after Holden’s death in October 1881. The position allowed Osler greater access to bank financing and gave standing to his new brokerage, Osler and Hammond, which he established in 1882 with Herbert Carlyle Hammond, former cashier of the Bank of Hamilton. Osler’s capitalist activities sky-rocketed in the 1880s. He was quick to pursue interests that must have seemed the future of such a large country, especially western land development, railways, and navigational ventures. 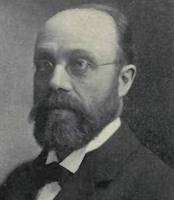 In 1882, for instance, he was a founder and the managing director of the Ontario and Qu’Appelle Land Company Limited. His first railway undertaking, that same year, was the Winnipeg Street Railway, a scheme largely devised by Austin and his son Albert William*. Osler’s job was financing. When he succeeded, interest in his abilities grew in Canada’s other commercial centre, Montreal. 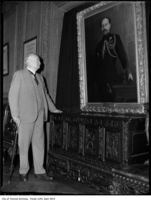 Soon he was advising George Stephen, a member of the syndicate responsible for building the Canadian Pacific Railway. The railway company sold a major portion of its western land grants in 1882 to a group of capitalists headed by Osler and William Bain Scarth*. A founder of the Canada Southern Steamboat Company Limited in 1883, Osler had also begun investing large sums in railway schemes in Ontario, where his expertise and connections brought him the presidency of the Ontario and Quebec Railway. Its takeover by the CPR in 1885 gave him a seat on the board of the transcontinental. Associated with a promising national railway system, he concentrated increasingly on western projects and the development of his Winnipeg branch, Osler, Hammond, and Nanton, which had been launched in 1884 by his protégé A. M. Nanton. Osler staked the future of his wealth and business on western development and invested in land that promised to appreciate in value when railways reached across the dominion. The CPR’s completion in 1885 began the process that Osler envisioned and by 1896, when economic conditions dramatically improved and settlement was made more attractive, Osler began to realize profits from his real estate ventures. Newcomers needed land and an array of financial services, an opportunity not missed by Osler and Hammond, which developed a network that linked British and eastern Canadian investors with western borrowers. The North of Scotland Canadian Mortgage Company Limited, the Canada North-West Land Company, the Dominion Bank, and to a lesser degree the Trusts Corporation of Ontario all facilitated this flow of money. Branches of the Dominion Bank were opened after the turn of the century at points where Osler had business ties, while Osler, Hammond, and Nanton managed institutional investments in western mortgages and debentures. Osler’s firm also began offering insurance and serving development more broadly by selling the bonds and debentures of western municipalities to British investors. In addition, a good deal of the firm’s business followed the CPR’s drive into the Kootenay mining country of British Columbia, as did Osler’s private investments. In 1897, for instance, the Monetary Times (Toronto) identified him as a prominent shareholder in two stock exchange listings, the War Eagle mine and the Consolidated Cariboo Hydraulic Mining Company, which had its head office in Toronto. In 1901 Osler became president of the Dominion Bank. He would, however, play almost no role within the Canadian banking system other than giving addresses at annual meetings. Rather, he was a capitalist in banking. 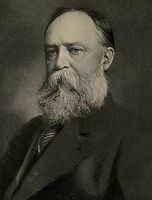 On assuming the presidency, he turned over his seat on the stock exchange to his son Francis Gordon, who had joined Osler and Hammond in 1895. Osler Sr nonetheless remained in control of the firm, which continued to concentrate on western business. Having watched the west grow, he was always conscious of the vital role that foreign and eastern investment played in its development. When economic turmoil surfaced in 1907 and slowed progress there, Osler answered western critics of the banks by pointing to very large western loans, which far exceeded bank deposits in the western provinces. In 1913, when prairie farmers and others argued for subsidization of the Canadian Northern Railway, Osler, speaking from a CPR standpoint, denounced any support. Despite his belief in the future of the west, his business ties to Toronto, where he operated increasingly in concert with Wilmot Deloui Matthews*, weakened the currency of his opinion in many western quarters. Success had brought calls for Osler to enter politics. He answered them for the first time in late 1891, when he joined the Toronto mayoralty race with the support of Goldwin Smith* and a team from the city’s establishment. His “silk stocking” candidacy fell flat and he was defeated by Robert John Fleming. A poor speaker, he had not warmed to popular demands for Sunday streetcars nor evidently, had he comprehended the commitment required because he had conducted his affairs as usual and even travelled to England on business. The observation made in the family history, that he “had little appetite for politics,” may help explain this behaviour. At the same time it raises questions about his return to the House of Commons as a Conservative for Toronto West in 1896, the same year he was president of the Board of Trade, and his success in four subsequent contests. Osler’s political ideals are not easily discerned. 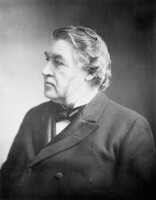 During the 1896 election, when the Conservatives were divided over the Manitoba school question and party leader Sir Charles Tupper* had embraced remedial legislation to restore the rights of Catholic Manitobans to publicly funded education, Osler opposed Tupper’s position. Although he was said to “believe in all Conservative doctrine,” he had a streak of independence; he apparently defined his conservatism somewhat differently than the pragmatic side of the party, which expanded the common ground between French and English, Catholic and Protestant. The electoral victory of Wilfrid Laurier*’s Liberals prompted Joseph Wesley Flavelle*, a rising business Titan in Toronto, to suggest a rejuvenation fund for a Conservative party that he thought was falling into serious decline. 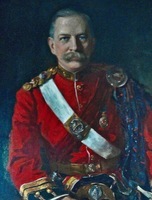 Osler and the few other prominent Tories canvassed rejected the scheme. One wonders if Osler ever wished he had backed Flavelle’s initiative during the 14 years the Tories were in opposition. Osler’s continued political success leaves many questions unanswered. 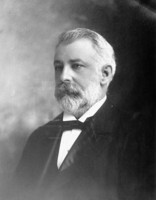 Like his fellow businessman and Conservative counterpart in Toronto East, Albert Edward Kemp, he was not apt to “overwork Hansard.” He was more likely, it seems, to talk in the quiet of parliamentary lounges, avoid fracas in the house, and attend to regional concerns as chairman of the executive committee of the Ontario Conservative Association. Consequently, his tenure in parliament was largely uncontentious and uneventful. Near the end, a newspaper reported “after seventeen years in the House Osler speaks,” but this comment is somewhat misleading. 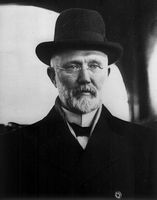 In 1901 and 1903 he had tangled with finance minister William Stevens Fielding over budgets and railways. Osler, who sat on the CPR’s executive committee, was himself targeted in the house in 1903-4 as a representative of the undue influence of railways in Canadian politics. As well, he was at the centre of a controversy that would play a small part in the defeat of Laurier’s Liberals. In December 1910 Osler shared the national spotlight with Fielding after the collapse of the Farmers Bank of Canada. Considered by some to be “well fitted” to be minister (had his party been in power), he had been a critic of the bank since its inception. When it applied to the Treasury Board to open for business in 1906, he privately warned Fielding that it was a fraud and that its application should be denied. More alive to the political price of refusing, the minister ignored the warnings of Osler and a good many others. On the bank’s failure, he headed for cover and blamed Osler for not giving him more evidence to work with. For Osler and his colleagues the collapse offered a useful tool to undermine the Liberals’ business credibility in the debate over reciprocity during the election of 1911. It was Osler’s last contest, for he declined to run in 1917; he was 68 and had had reservations about the Union government formed months before by Conservative leader Sir Robert Laird Borden*. The start of World War I in 1914 had brought financial panic to Canada and a crisis in mortgage financing. The prime minister’s office was inundated with calls from across the country, and especially the west, for a moratorium on debts. Osler, afraid that Borden would succumb to the political pressure, reminded him that, since 1912, many British investors with mortgage securities from the west had not received payments and that a moratorium would likely scare off future investment, to the great disadvantage of western development. By the time the war had broken out, Osler was well known in Toronto for his civic and philanthropic efforts as well as his discreet financial endeavours. 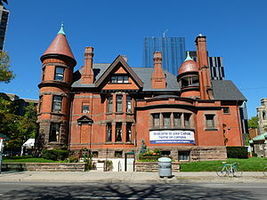 He had helped fund the new Toronto General Hospital, and was president (1899-1921) of the Ontario Rifle Association. 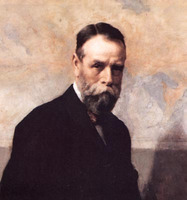 A major purchaser of art – in 1903 he had bought a large collection of works by Paul Kane* – he was a benefactor of the Art Gallery of Toronto, and in 1912, the year of his knighthood, he had been instrumental in the creation of the Royal Ontario Museum. Osler’s cultural tastes are reflected too in the selection of the Toronto architectural firm of Darling and Pearson to design the Dominion Bank’s magnificent head office at Yonge and King in 1913-14, and many of its new branch buildings. In the early months of the war a less impressive side of Osler was revealed by the “German professors issue” at the University of Toronto, where he had been a member of the board of governors since 1906. The sons of a German-born professor at University College took exception to an anti-German speech by their school principal. The protest led two newspapers to demand the dismissal of all three of the university’s German-born professors. Osler and his fellow governors concurred but President Robert Alexander Falconer* claimed that they had done no wrong. After a compromise was found, placing the professors on leave, Osler tendered his resignation but it was not accepted. His reaction in this issue was likely symptomatic of the single-minded determination throughout most of the dominion to defeat the enemy, a spirit that proved more productive, in Osler’s case, when applied to war finance. He was a major contributor to the Canadian Patriotic Fund. Through Osler and Hammond, and its Winnipeg branch, dominion bonds were sold to institutional investors, easing the burden of government debt that was piling up in New York. 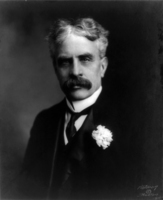 In the west, the firm’s influence was also demonstrated in the four Victory Loans campaigns of 1917-19, during which more than $246 million worth of bonds were sold through Osler, Hammond, and Nanton. When the war ended, Osler, one of Toronto’s richest men, turned his attention to the economic aftermath and preached a gospel of caution. To each board member of the Dominion Bank he distributed a copy of Poor Richard’s almanack, Benjamin Franklin’s homage to frugality. Canada had been transformed by the war, and in its wake Canadian businessmen encountered an increasingly hostile public. Many wanted villains to blame for the economic and social woes that had befallen the country; money-men and banks were fair game. As a bank president and a financier who had served the needs of western agriculturalists and municipalities, Osler took offence at allegations that banks were not loaning farmers sufficient money. The fallout from the war made profits unseemly and Osler, like other presidents, found himself in the somewhat uncomfortable position of having to defend the profitability of Canadian banks, a situation that had arisen before the war and grew more pressing after it. From the porch of Craigleigh, his 13-acre estate in the Rosedale area of Toronto, Osler looked out at a Canada that was very different from the one he had known as a boy and as a young businessman. He understood the changes that had taken place in business. Finance capitalism, in particular, had emerged as a critical component of national development. In 1921, at age 76, Osler retained a high corporate status beyond his bank and Osler and Hammond, as the president of three companies, vice-president of another, and a director of eight. 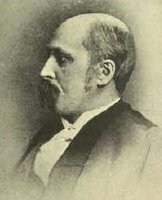 Within his family circle, his wife had passed away in 1910, and his brothers, Featherston, Britton Bath*, and Sir William*, predeceased him. Sir E. B. Osler died at Craigleigh in 1924. He left an estate worth almost $4 million and a most unusual will. In his final years he had evidently written letters to friends and acquaintances promising money in recognition of their support; a special fund was set up from his estate to cover these obligations. All claimants had to do was present Osler’s letter and his promise would be made good. Mail (Toronto), 25 Sept. 1873. Christopher Armstrong and H. V. Nelles, The revenge of the Methodist bicycle company: Sunday streetcars and municipal reform in Toronto, 1887-1897 (Toronto, 1977). Michael Bliss, A Canadian millionaire: the life and business times of Sir Joseph Flavelle, bart., 1858-1939 (Toronto, 1978). A. [C. Boyd] Wilkinson, Lions in the way: a discursive history of the Oslers (Toronto, 1956). Canadian annual rev. Canadian men and women of the time (Morgan; 1912). Dominion annual reg., 1882-83. J. A. Eagle, The Canadian Pacific Railway and the development of western Canada, 1896-1914 (Kingston, Ont., 1989). Encyclopaedia of Canadian biography . . . , vol.2. R. G. MacBeth, Sir Augustus Nanton, a biography (Toronto, 1931). G. P. Marchildon, Profits and politics: Beaverbrook and the Gilded Age of Canadian finance (Toronto, 1996). Ontario and the First World War, 1914-1918; a collection of documents, ed. and intro. B. M. Wilson (Toronto, 1977). Joseph Schull, 100 years of banking in Canada: a history of the Toronto-Dominion Bank (Toronto, 1958). O. D. Skelton, The Dominion Bank, fifty years of banking service, 1871-1921 ([Toronto, 1922]). Standard dict. of Canadian biog. (Roberts and Tunnell), vol.1. A. S. Thompson, Spadina: a story of old Toronto (Toronto, 1975). J. F. Whiteside, “The Toronto Stock Exchange to 1900: its membership and the development of the share market” (ma thesis, Trent Univ., Peterborough, Ont., 1979). Who’s who in Canada, 1922. John A. Turley-Ewart, “OSLER, Sir EDMUND BOYD,” in Dictionary of Canadian Biography, vol. 15, University of Toronto/Université Laval, 2003–, accessed April 19, 2019, http://www.biographi.ca/en/bio/osler_edmund_boyd_15E.html.